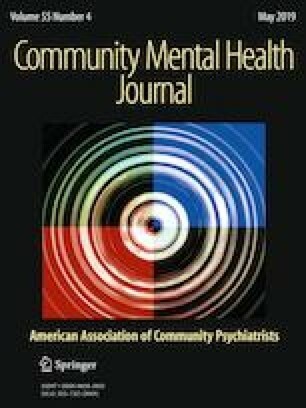 The purpose of this cluster-randomized pilot effectiveness study was to compare two different group-based educational music therapy interventions with a control condition as measured by the stage model of recovery in adults on an acute care mental health unit. Participants (N = 69) were cluster-randomized to one of three single-session conditions: educational lyric analysis (ELA), educational songwriting (ESW), or control. ELA and ESW conditions targeted motivations for and factors contributing to recovery. Results indicated no significant between-group difference. However, ELA and ESW conditions tended to have slightly more favorable stage of recovery mean scores than the control condition. Generally, educational music therapy may be clinically relevant for impacting stage of recovery within the temporal parameters of a single session. As ELA and ESW conditions had similar results, the specific educational music therapy intervention did not affect results. Implications for clinical practice, limitations, and suggestions for future research are provided. The author has read the ethical guidelines for this journal and certifies he is in compliance with all ethical guidelines. American Music Therapy Association. (2019). What is music therapy? Retrieved from http://www.musictherapy.org. Centers for Disease Control and Prevention. (2015). FastStats, April 8, Mental Health. Retrieved from http://www.cdc.gov.nchs/faststats/mental-health.htm. McCaffrey, T., Carr, C., Solli, H. P., & Hense, C. (2018). Music therapy and recovery in mental health: Seeking a way forward. Voices: A World Forum for Music Therapy, 18(1). https://doi.org/10.15845/voices.v18i1.918.